Providing a mini-lecture, perhaps with some questions, after students have already started to solve a problem or work on a project is not the kind of explicit teaching that is supported by the evidence, particularly if there are still elements that students are required to figure out for themselves. The closest we have for any evidence supporting this approach is ‘productive failure‘ research. However, the research base for this is far weaker and narrower than for explicit teaching, with some conflicting results (e.g. here). He goes on to suggest that ‘explicit instruction’ means something different to Joseph’s definition. Zyngier is wrong. Joseph’s definition is fine. But what is this reference to ‘good or productive pedagogies’? You may therefore assume that research shows that Quality Teaching Rounds has a positive effect on student outcomes. Such research has not yet been done. 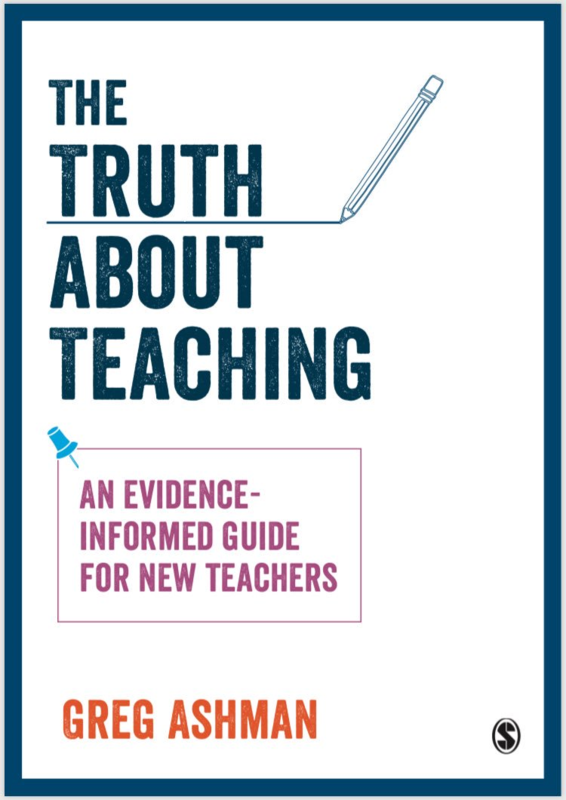 Instead, researchers defined what they thought ‘Quality Teaching’ would look like, trained teachers to perform these behaviours and then concluded that because the trained teachers were better at performing the required behaviours than an untrained control group, the training improved the quality of teaching – a completely circular argument. Explicit teaching is not lecturing, or requiring students to complete endless worksheets or any of the other bad things you can think of throwing at it. Progressivist educators tend to characterise it this way in order to make it seem demotivating or simply uncool. There is nothing motivating about being frustrated in your learning. In fact, children who fail to learn to read, perhaps because their teachers eschew an explicit approach, are also more likely to develop behavioural problems (e.g. here). This is entirely understandable. Reading is the fulcrum of pretty much any academic pursuit and so being battered about the head every day with the fact that you cannot read is likely to make you rebel against the whole school thing. Explicit teaching can certainly be made dull and unrewarding, just as pointless projects and boring problem solving sessions can be dull and unrewarding. However, the effectiveness of explicit teaching means that it is more likely to build success over time, leading to a greater sense of achievement and a more positive attitude to academic work. I’d suggest that you’re underselling the main advantage of explicit teaching–it doesn’t just ‘build success over time’. Rather, the effects are apparent in as much time as it takes to get pupils used to it, which is unlikely to be more than a few lessons. When you consider what it’s like to be a pupil accustomed to wading through a fog–never entirely sure what you’re supposed to be learning–having concrete and achievable goals is utterly transformative. I agree Tom Burkard. Having started teaching in 2016, after 20 years as a lawyer, I was well aware of the concept of explicit instruction [i.e. making oneself clear at all times] when addressing a a crowded court room and it worked pretty well. When I started teaching, I was confused and spent most of my time talking with little attention to what students were learning. Now, at least in the last 12-18 months, I have switched to teaching content in as clear a way as possible and insist upon students putting their knowledge and skills into practice : a lot of modelling, telling, I do, we do, you do approaches. I am seeing changes to the quality of students’ writing [I teach English] and I don’t spend time on fancy slides but I do think about the content, above everything. I am still learning, every day. Blaise Joseph’s problem was confusing and conflating explicit and direct instruction. They are not the same as Greg clearly points out above. I too have not quite understood your point here (and you do keep making it). I’ll admit there are a variety of definitions of ‘explicit teaching’ including equating it to purely ‘lesson objectives’ but CESE’s What works best’s definition of Explicit Teaching is pretty consistent with Joseph’s. It even says that direct instruction and explicit teaching can be used interchangeably.